Coinciding with the World Series of Poker Main Event final table, Full Tilt Poker will be running the 18th installment of their popular Full Tilt Online Poker Series (FTOPS for short). The 34 tournament series will begin November 10th –as the WSOP Main Event is being decided by the final two players—and boasts a total guaranteed prize-pool of $19 million. The FTOPS XVIII will conclude with the $600 buy-in Main Event Championship will take place on November 21st and features a $3 million guaranteed prize-pool –which will surely be surpassed once registration ends. Also included on the FTOPS XVIII schedule are seven Rush Poker tournaments; the format that has proved wildly successful not only for Full Tilt Poker’s daily tournaments, but also when they offered them during the FTOPS XVII. The FTOPS began in 2006 with a guaranteed prize-pool of $1 million –which seemed quite large at the time! Now, the second largest online poker room in the world can run multiple FTOPS tournament series each year, and each one sporting a prize-pool in the $20 million range! 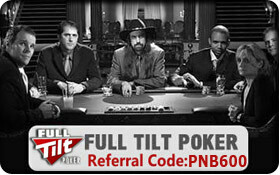 Full Tilt Poker is currently running satellite tournaments to a number of FTOPS XVIII events. Players can also use their Step 5 tickets to enter any tournament with a $216 prize-pool, and a Step 6 ticket is good enough for a Main Event entry. This entry was posted on Thursday, October 7th, 2010 at 3:43 am and is filed under Poker News. You can follow any responses to this entry through the RSS 2.0 feed. You can leave a response, or trackback from your own site.